As an avid fan of R&B, I'm really pleased to have come across quite a number of young and incredibly talented artists within the scene. Some, to my surprise, who have hardly been receiving the recognition they deserve. So that's why I'm here today, to give you foxes a taste on what you've been missing out on and there's no turning back. First on our list is New York native, A.C. Lincoln. He began writing, producing, singing and performing original content at the young age of 16. Creating a sound rooted in both the grooves and lyrics of Hip Hop and the melodic understanding of Jazz and R&B. And about 2 years ago he released his EP titled YLG The EP, in which he collaborated with Grammy-nominated singer Emily King, and Grammy-winning mixing engineer, Ben Kane. 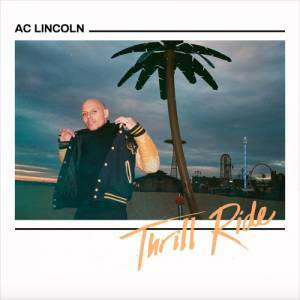 Lincoln has been featured at many notable venues and festivals including The Caramoor Jazz Festival, Lake George Jazz Festival, The Blue Note, The Standard Hotel, Smalls Jazz Club and Rockwood Music Hall. So remember his name, because he's got a bright future ahead of us and we'll definitely be expecting more from him soon.